The ultimate compilation of Richard Matheson's three KOLCHAK screenplays. Gauntlet publisher Barry Hoffman worked for 2 ½ years to secure all the rights and permissions to publish Richard Matheson’s three KOLCHAK SCREENPLAYS. This is the first release of The Night Stalker and The Night Strangler (two “Movies of the Week” in 1972 and 1973, respectively, which led to the Kolchak series 1974-1975), plus The Night Killers (an unproduced script whose rights are still retained by Dan Curtis, and may one day become a feature film). 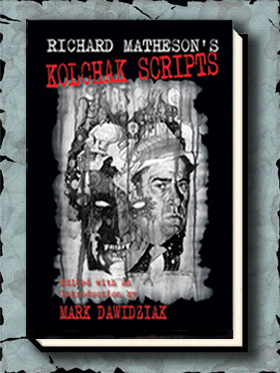 Acclaimed Kolchak chronicler Mark Dawidziak edits the book, which includes interviews with Matheson, William F. Nolan (who co-wrote The Night Killers), Dan Curtis and Jeff Rice (creator of the Kolchak character). Our agreement with ABC-TV allows us to publish just a signed limited edition of 552 copies (numbered and lettered). 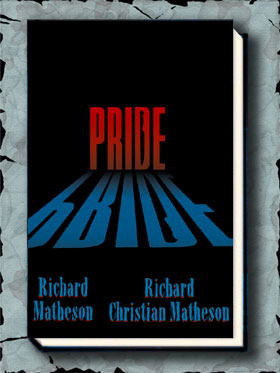 As a collectible, these scripts rival the limited edition ofÂ RICHARD MATHESON’S THE TWILIGHT ZONE SCRIPTS. The book includes photos from private archives (relating to “The Night Stalker” and “The Night Strangler”) that have never before seen the light of day. And, we were able to obtain artwork by noted illustrator E. Silas Smith (he was commissioned to draw for “The Night Stalker” and “The Night Strangler”). These pieces have also never been published before. Some of these illustrations appear in the Numbered edition, a few only in the Lettered edition, and a few more in a chapbook of illustrations/photos that will be free to anyone ordering the book from Gauntlet. This is a newspaper that was going to be used to advertise an Ominbus edition of Jeff Rice’s novel “The Night Strangler” and “The Night Stalker.” The book was never published. This illustration will be reproduced in The Kolchak Scripts in black and white. The Night Killers (by Richard Matheson and William F.
“Gauntlet Press has done the world a great service by publishing Richard Matheson’s long lost Kolchak telefilm screenplays in this wonderful compilation volume. 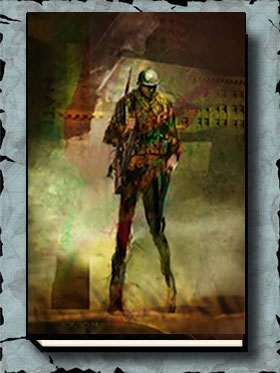 A delight for all Night Stalker fans.” — RLK Kills!